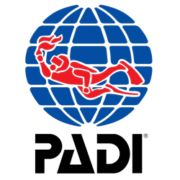 Since 2008 it’s mandatory by law on Curacao to be visible during your whole dive or snorkeltour. This means a letting a Surface Marker Buoy up at the end of your dive, just before you ascent is not enough. 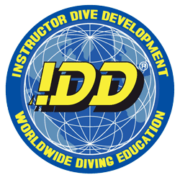 Every dive group should dive with a buoy and dive flag. Using the SMB during the whole dive is not a good idea, if it’s not totally filled with air it will be blown flat against the water surface by the wind and miss it’s purpose totally. Snorkelers also need to be visible during their tour in the water. This can be accomplished by towing a buoy, having a small flag on your snorkel or wearing a brightly colored snorkelvest. Being visible means boats and waterscooters know where they can expect divers/snorkelers. They can make sure to stay well away from them. In the past sadly it did happen that snorkelers have been run over by boats, just because they were not visible. Now, in our experience people often complain they don’t want to wear a snorkelvest or dive with a buoy and flag. But it’s for your own safety!!! Just past week the snorkelvest proved it’s worth when a group of snorkelers made a tour in the Blue Room area. 1 of the snorkelers got separated from the group. There was a strong surface current and she was not able to make her way back to the group or to shore. Because she was wearing the vest she was able to stay on the surface and it made her visible for a nearby boat, who came to the rescue. We always have a buoy with us when we dive and we never had any problems with boats or waterscooters. Better even, one time a boat owner came to me and thanked me for diving with the buoy. They said they always stayed well away from the lighter blue shallow parts, but were still always scared that they might miss seeing a snorkeler that went out far, or a surfacing diver. 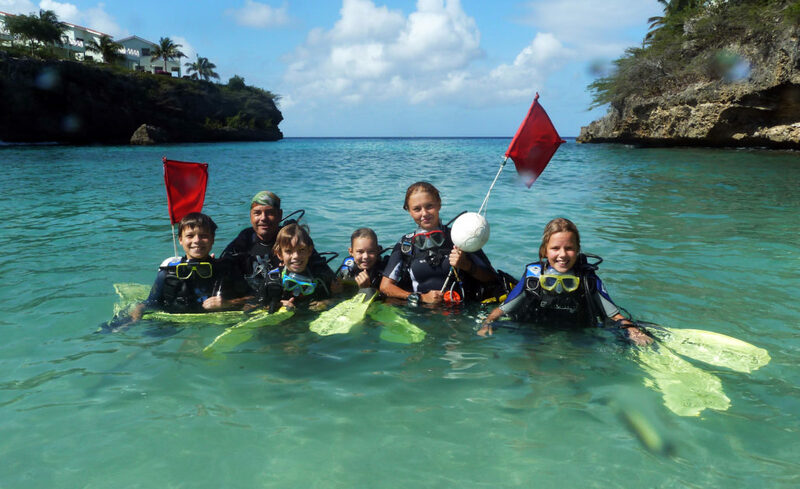 Dive safe, dive with a buoy, snorkel safe, wear a snorkelvest!